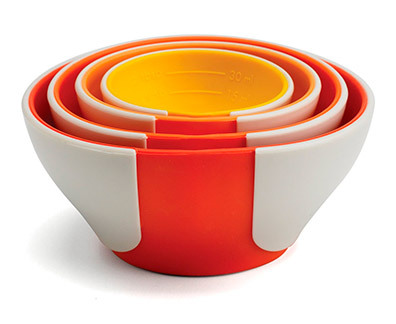 These prep bowls are multi-taskers! Use to measure & pour ingredients -the design creates a pour spout when pinched. Clearly marked measurements for convenient cooking, nesting design for convenient storage & an anti-slip base. Top-rack dishwasher safe.